“Farewell My Concubine” had its global premiere yesterday at the Dolby Theatre in Los Angeles; the first ever Chinese 3D opera in Atmos to be shown in cinemas. Co-star Shi Yihong agrees the whole experience was new and exciting. “As a Peking Opera performer, being a part of a film is very interesting for me, especially in this amazing 3D project,” Shi Yihong said. The film is being shown in the US as part of celebrations to mark the 35th anniversary of diplomatic ties between China and the US. Meanwhile back in China the WSJ has taken note of the growth in fraud at the box office (previously covered extensively here at CJ). 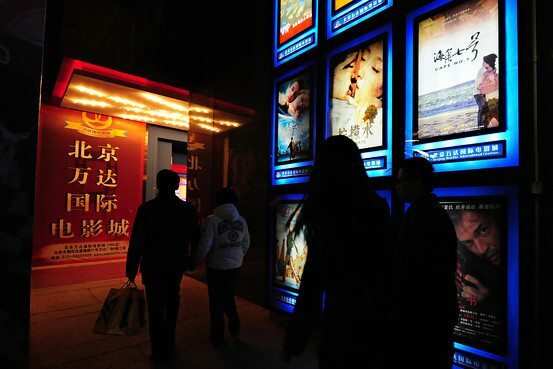 “Though the recent regulations have helped to clean up the market, the problem still exists at cinemas outside major cities,” said Gao Jun, former deputy general manager of Beijing Xinyinglian Film Co., a theater chain with about 100 cinemas nationwide. Mr. Gao, who is now chairman of the Guosheng Pictures (Beijing) Co., said theater chains want to help solve the problem too, because when the cinemas keep the illegal earnings, it hurts the parent company’s revenue. Some in the industry also point to rising rents as part of the problem. India – PVR’s quarterly figures are in and over all they are good, with profits up three to four per cent. The company plans to add 70 screens this year and expects to grow revenue by 20%, with F&B and advertising continuing to grow. UK – The theme for the next Secret Cinema has been revealed [Ed: How exactly is that ‘secret’ in that case?]. It seems that they have taken a leaf from the playbook of SAWA and this year’s Cannes Lions. Key scenes from Back to the Future will be recreated at a secret location in London this summer for epic screenings of the time travel movie. 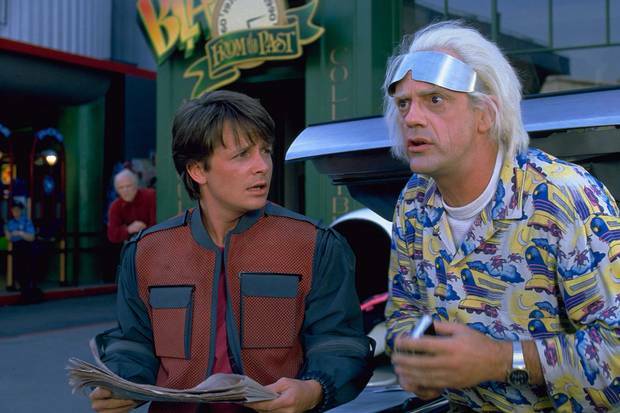 Organisers of the next production in the Secret Cinema presents… brand will build the entire town of Hill Valley, California, where teenager Marty McFly, as originally played by Michael J Fox, embarked on his dramatic journey from 1985 back 30 years to when his parents were young. USA (CA) – The cinema that has been Hollywood studio’s test bed for more digital cinema trials than I’ve had hot breakfasts wants to be allowed to serve alcohol. Don’t let the engineers near the beer! Leawood, Kan.-based AMC Theatres, the nation’s second largest theater chain, plans to serve beer and other alcohol at its multiplex in Burbank. 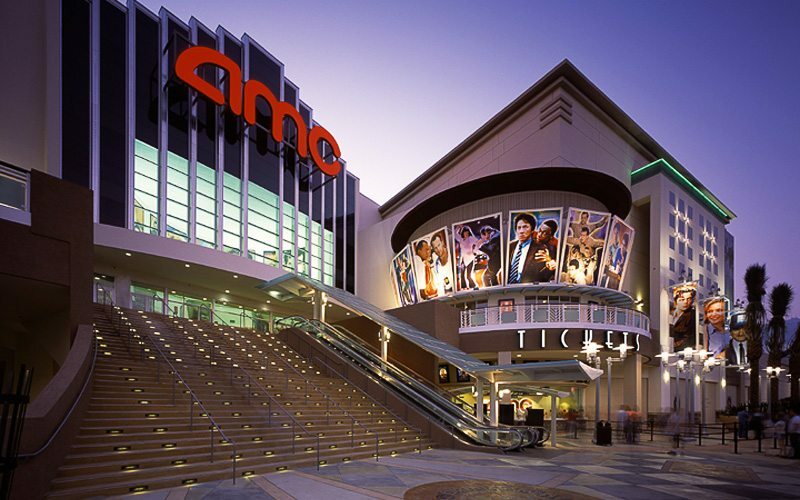 The AMC Burbank 16 on May 23 applied for a license to serve alcohol at one of the busiest theater locations in the Los Angeles area. The permit, which is pending with the California Department of Alcoholic Beverage Control, would allow AMC to open a bar for theater patrons. 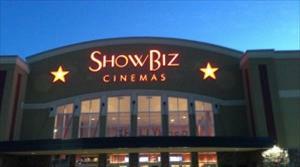 USA (TX) – Quick thinking and emergency training prevented a possible tragedy at a ShowBix Cinema multiplex. But what type of candy was it? Right before the movie was set to start, Amstutz noticed his friend stood up and seemed to be pointing. At first, Amstutz thought his friend was motioning that he was going to use the restroom but then he noticed the friend was pointing at his throat to tell him he was choking on a piece of candy. USA (MD) – Calling this a ‘prank’ might be something of an under statement. These were fully working crude bombs. Fortunately nobody was injured. A 20-year-old man was arrested during the weekend for a series of dangerous pranks that led to the evacuation of several movie theaters in the Maryland and Virginia suburbs of Washington, authorities said. Manuel Joyner was arrested in his home in Bowie, Md., and charged in relation to a prank and evacuation in a theater in Largo, Md., on May 24, Prince George’s County fire officials said. UK – Burglars have target a jewelery store and the cinema in the English south coast beach town of Lyme Regis. And the front doors of Lyme Regis Cinema were forced open in a burglary overnight between Tuesday, May 27 and Wednesday 28. 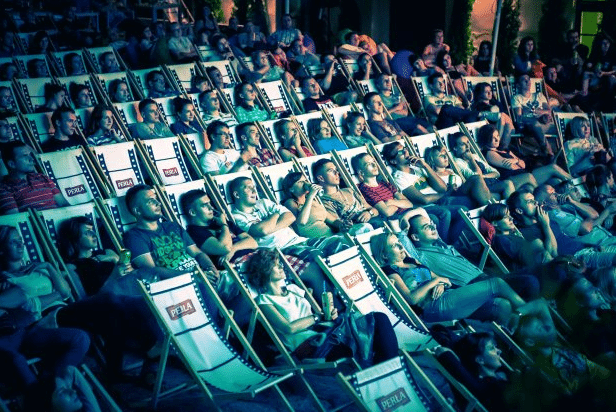 Poland – We interrupt our Open Air Cinemas moratorium to bring you news from Poland where a chain of no less than a dozen screens operates this summer. On June 6 in Opole will be the first show of the open-air cinema Pearl – the largest such network of cinemas in the country. From that day on every weekend at the premises on the Isle of Laba Bolek will be held screenings of various movies. Opole is one of the 12 cities in which Cinemas Pearla will be screening films this summer. 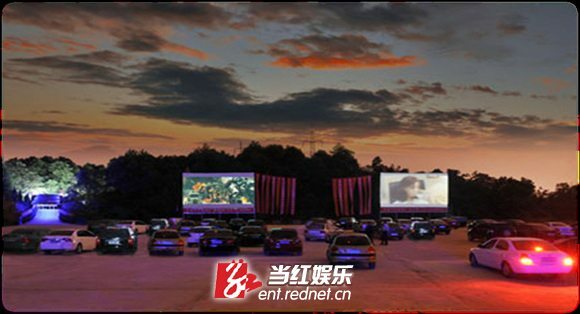 China – More drive-in cinemas are cropping up all over China. Not sure Google Translate got the name of this one completely right. And why are there two screens? Big production! Jimmy cards paternity car Film Festival opens a new viewing mode of the first film festival Mai card paternity car developed in June 2 at 19:00 pm West Area Planning Exhibition Square kicked off. An oasis in a big open space, 16 * 9 meters of the giant movie screen, every screening hundreds of parking spaces, clear dream large movie screen, Jimmy cards paternity automotive theater as moviegoers provide the most comfortable and cozy atmosphere viewing shocking and most perfect visual effect, regardless of the audience’s car parked at the venue which position in the car can enjoy the giant screen blockbusters. USA – NEC is trumpeting its blue-laser illuminate projector passing the DCI compliance test. It is small and compact as well, but probably still not cheap. 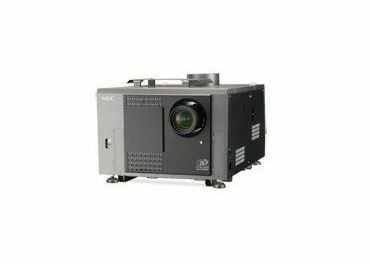 NEC Display Solutions of America has announced Digital Cinema Initiatives (DCI) compliance for its NC1100L and NC1040L laser projectors, the latest models in its Digital Cinema Projector Series. Both the “NP-NC1100L-A” and “NP-NC1040L-A” have earned compliance on DCI Compliant Equipment – the first as Laser Digital Cinema projectors. 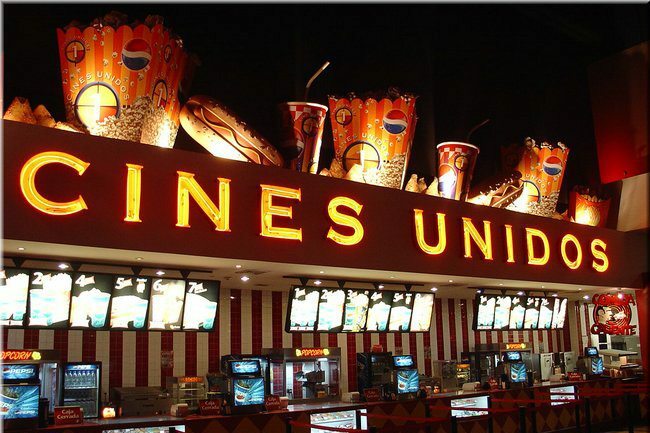 Venezuela – World Cup fans in Venezuela will be able to catch games at their local cinema. Venezuela’s network Meridiano is gearing up for the World Cup. The channel will offer some matches free-to-air, the whole championship on pay-TV through Movistar TV and, thanks to a deal with Cines Unidos, will also broadcast matches in cinemas across the country. UK – Sing-a-long for Disney’s Frozen? Just the trick to lure parents who haven’t seen/heard the film enough back into the cinema. What did the real target audience make of it? Well, how do you think a bunch of kids enjoyed not only watching their favourite film AND being able to make noise in a cinema…. Let’s say it was wonderfully raucous and they all had a lot of fun. So to coin I phrase that seems to be rattling around my head at the moment, I suggest you “let it go” and try and get to the many cinemas showing it in sing-a-long format. Or check it out online, complete with lyrics…. USA (TX) – Rice University has been screening art-house and international films for 45 years. Thankfully they can now continue to do so. Now, the Rice Media Center’s screening facility is receiving a state-of-the-art upgrade. The cinema will close this summer for the installation of a high-quality digital cinema projection system. The center received university capital budget improvement funds to purchase the projector. South Africa – A book club steps in to try to fill the void created by the closure of the local cinema. 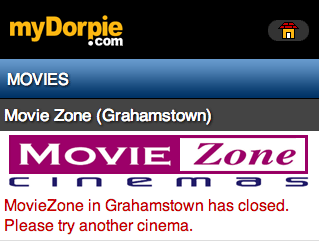 Movie lovers still depressed by the closing of Cinema Zone are in for a treat. Cinemas have historically struggled to survive in Grahamstown and this was reason enough to inspire four members of the ‘Grahamstown Book club’ to create a space where films can air without the danger of being shut down. This newfound endeavour, the Film Club, opened its doors on 16 May at the St Andrews College. 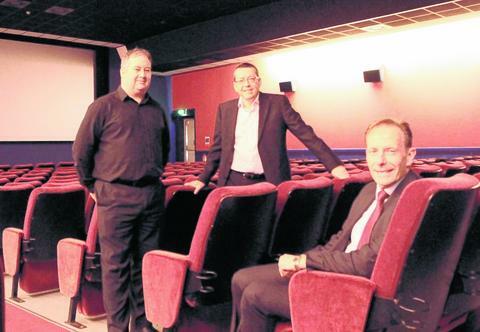 BOLTON is only big enough for one town centre cinema, council officers have admitted ahead of a crunch planning meeting. 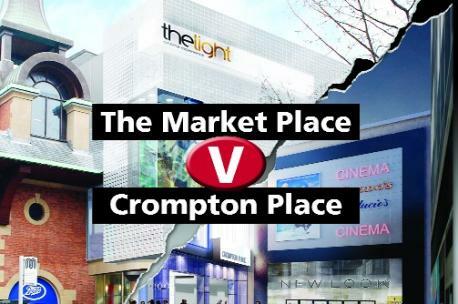 But they have recommended that councillors approve Crompton Place’s plans for an 11-screen cinema — despite the fact work will start on a nine-screen cinema in Market Place in the next few weeks. UK – More sanity in Corby, where demolition work has stopped on the site of the proposed Vue cinema? 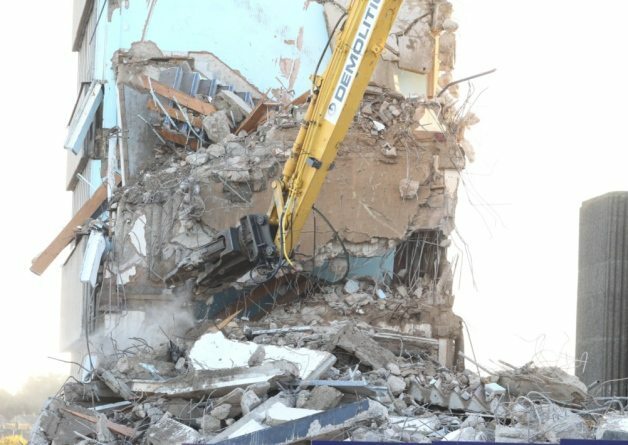 For months workers have been at the site in Elizabeth Street where Crown House has been demolished and work to knock down the multi-storey car park was due to start in September. Tens of thousands of pounds have already been spent on preparing the area for the eight-screen cinema, but the project stalled last month when a planning application was deferred. It is noted that “Legal advice to the council said that if, instead of two cinemas it was two supermarkets being considered, it would be natural for each company to address the effect of the other on viability.” Du-oh! UK – London’s new Imax cinema opened in the refurbished Empire Leicester Square last Friday. Watch the video above if you want ot learn about the technology behind it. Empire Cinemas and IMAX Corporation confirmed today that the eagerly awaited IMAX® screen in the famous flagship cinema, The Empire Leicester Square, will open to the public from Friday 30 May 2014 with Tom Cruise’s futuristic sci-fi thriller, Edge of Tomorrow: An IMAX 3D Experience. Russia – One of Moscow’s most venerable old cinemas is set to re-open after an extensive refurb. The fifty-year-old Kosmos (or space) will become the central stage for a network of Moscow Cinema movies houses and also the venue of special events such as festivals, cinema forums, first nights and retrospective runs, the press service of the Moscow culture department said. UK (Scotland) – Greenock’s Waterfront Cinema has completed a £300,000 improvements programme that includes digital projection capability. The money has been invested over the last two years by owners West Coast Cinemas, including installing 3D projection equipment. The four-hall cinema sold 86,000 tickets in 2013, and this year hopes to encourage even more people through the doors. UK – Sad to see such a gorgeous cinema closed but at least the developers appreciate its architecture and intend to preserve it. 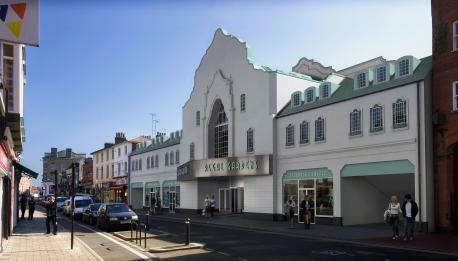 THE man behind plans to rejuvenate Colchester’s old Odeon cinema has insisted his is the only viable scheme. Ross Carroll, of developer Amdev 101, last week applied for planning permission to convert the building into three shops and seven apartments. 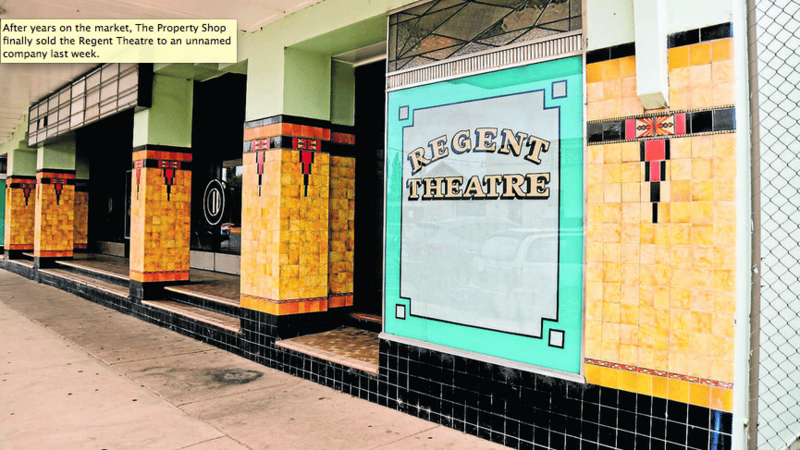 Australia – Mudgee’s historic Regent Cinema has been sold, having been closed since 2009. Let’s hope the new owner can afford the AUS $4.7 million it’s been estimated that it will cost to bring it up to standard and re-open it as a cinema. 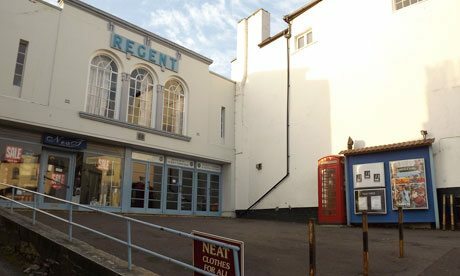 After years on the market, the disused Regent Theatre was finally sold to new owners late last week. The news was announced on The Property Shop’s Facebook page on Thursday with a picture of the Regent Theatre captioned with the words “We’ve sold it!”. 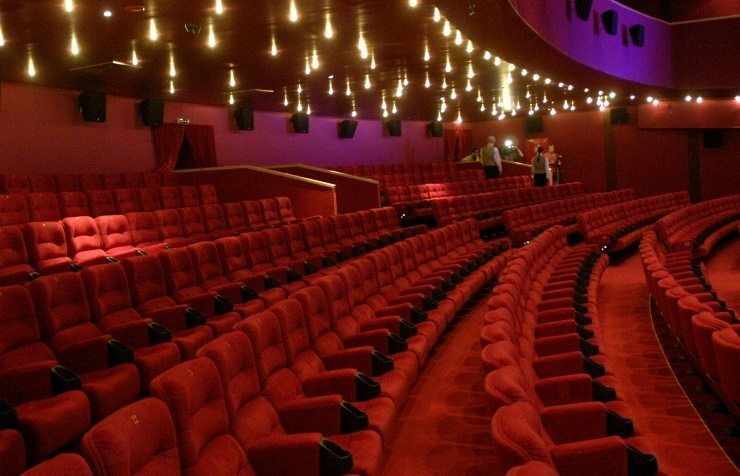 Total Film has published a list of the 30 Greatest Cinemas in the World. “Yawn, another listicle,” you might say. But this list is quite good, informed and global. Who can argue with cinemas like Szczecins Kino Pionier (#9), Paris’ Le Gran Rex (#7), Oslo’s Colloseum Kino (# 12) and my own local cinema is even in the #27. Which one is Numero Uno, you ask. You will have to browse through it yourself. Instead we leave you with the runner up. Any obvious oversight, do please tell us in the Comments section below. 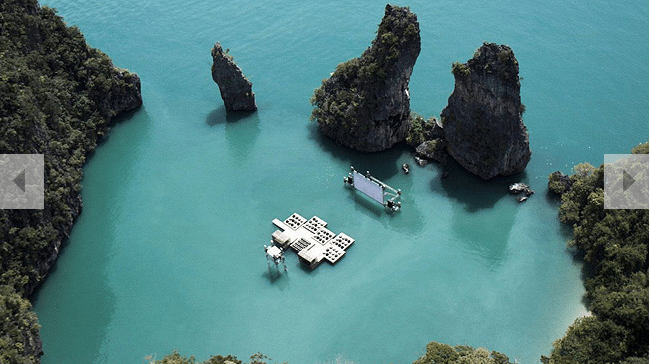 Why We Want to Go There: Because it’s a floating cinema. A cinema that floats. Just off a tropical island. Who cares what’s even showing.